There was no article or video on Friday as I took the day off to celebrate my father’s birthday. He’s not been very well recently, so I decided to do that instead. Happy birthday Dad. 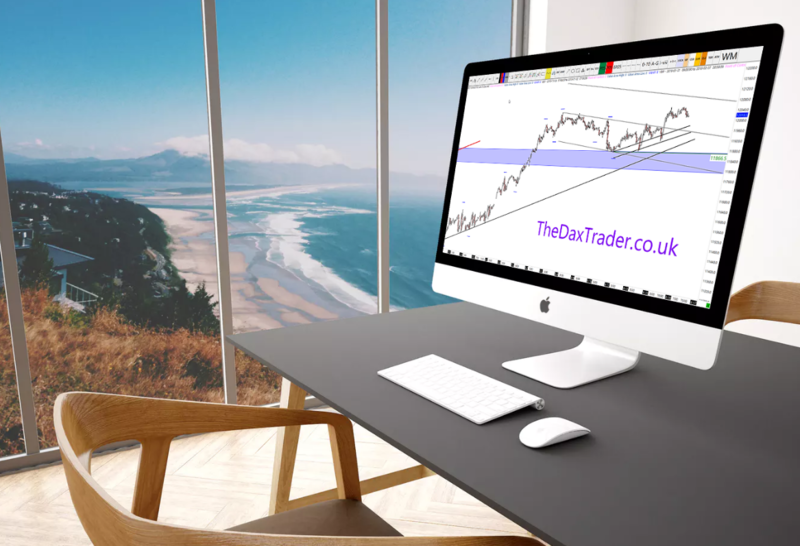 Back to the DAX technical analysis, on Friday we saw the Dax pierce the 12,053 high by 6 points after holding the median line once more. This means that the pierce has technically ended the minor bearish trend. The question now is whether this rally will continue in order to reach the upper median line parallel of this fork line set. This morning we have also tested the same high as Friday and currently trade just above the 12,000 handle, though volatility seems to be quite low. The hourly chart paints a bullish picture.There is still a low volume zone just below 11 866, however we are now above the centreline on this downsloping ACR lineset (grey). This line is it can be incredibly powerful when looking to predict the completion of a reaction move. On Friday we break into the top half of this line set and I would be looking to see if price can reach the upper reaction line. 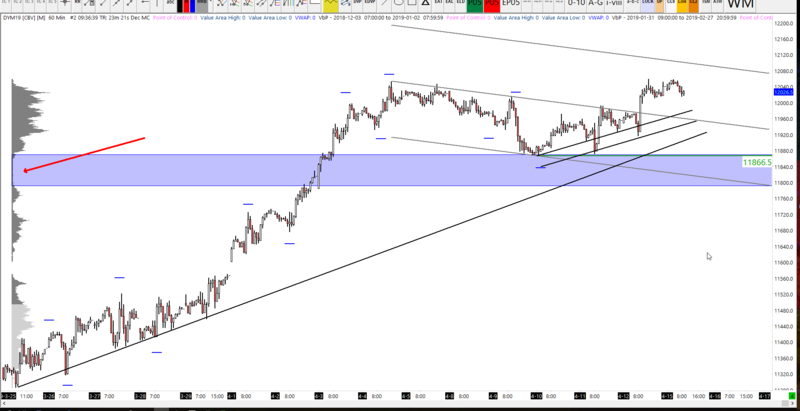 The black upsloping low to low trendlines may provide some support if price continues to pull back from current levels. The composite profile on the right highlights the low volume area left behind after Friday’s burst through 12,000. 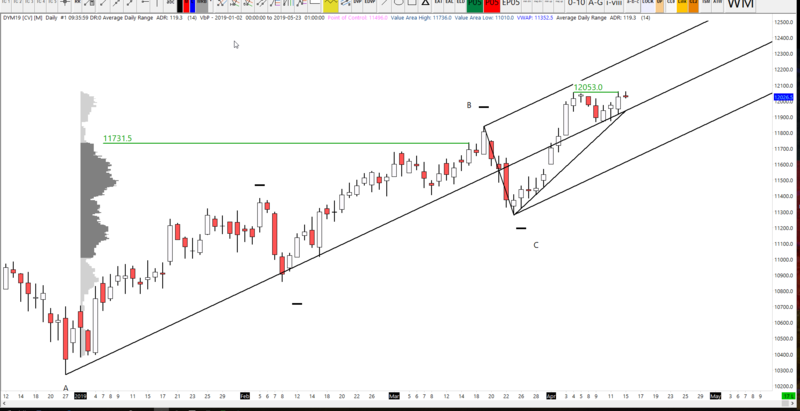 If we do retrace lower today I would not be surprised to see it find support around 970. In order for this trend to continue we need to break above 12,059 before breaking below 11,916. 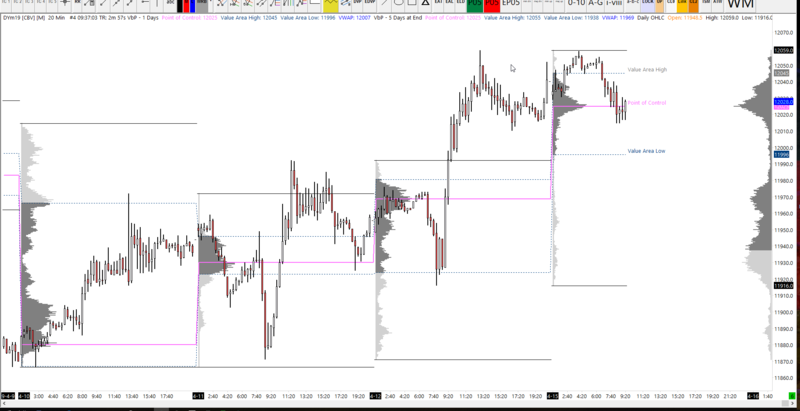 One interesting observation is that the value area low is above the Thursday high. This can sometimes suggest that an auction’s ‘price discovery’ process has successfully carved out a new area for buyers and sellers to do business. 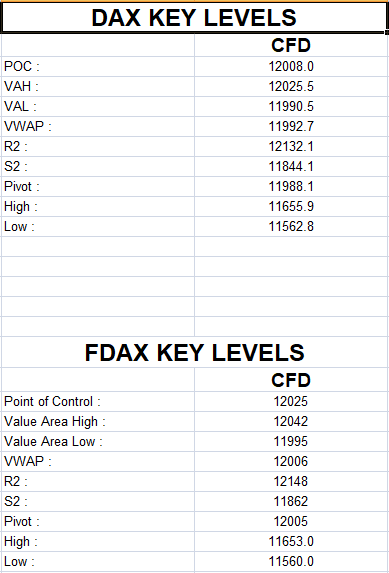 The next exposed point of controls are 12,144 above and 11,768 below.